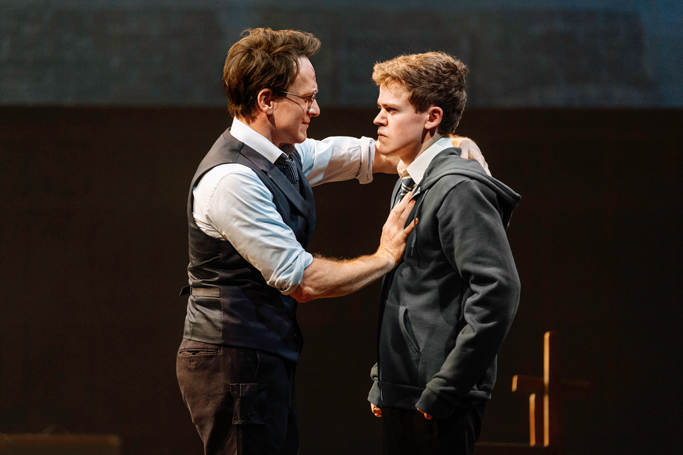 Even before its official opening, Harry Potter and the Cursed Child has been breaking all previous Broadway sales records, by a wide margin. 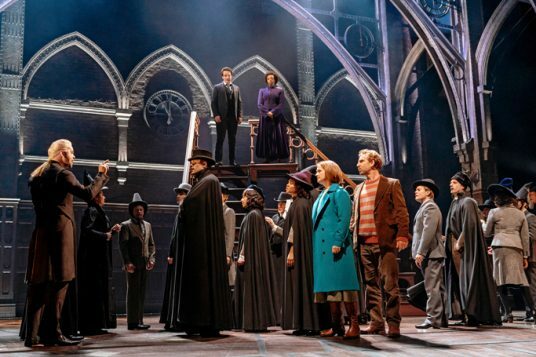 It took more than $2.1 million in a single week – the highest figure ever reported by a non-musical. 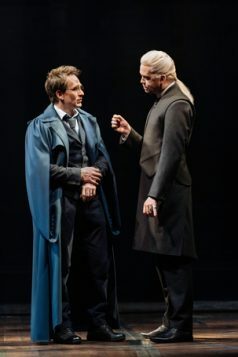 Those records are likely to be smashed again as the proportion of premium tickets – and their likely prices – also keeps rising, slightly offset by the offer of 300 tickets priced at $40 or less per part. 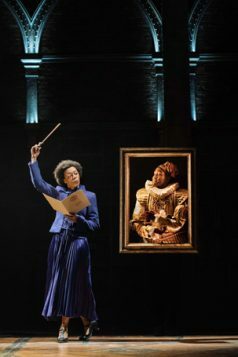 The production has also set another record, for the most expensive non-musical play ever produced on the Great White Way. The total outlay is $68.5 million: $35.5 million to capitalise the production, and a further $33 million to completely overhaul its home, the Ambassador Theatre Group’s Lyric Theatre, and compensate the venue’s last tenant Cirque du Soleil for vacating it early. And if London’s Palace Theatre proved to be an ideal, Hogwartsian home for the show in the UK, the US team has pulled off an even more impressive make-over to a theatre that is now purpose-built to accommodate the wizarding world. It looks like an ornate opera house in soft red and fawn hues, with the arches of Christine Jones’ sets continued and reflected in the auditorium itself. 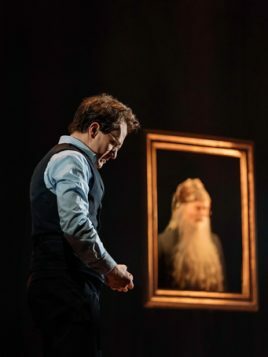 All of this lavish, loving investment is more than likely to pay off, as this epic two-part stage continuation of the Harry Potter saga looks certain to be every bit as much a sensation on Broadway as it instantly proved when it premiered in London in the summer of 2016. 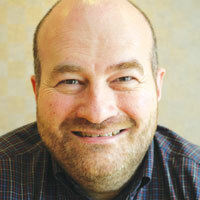 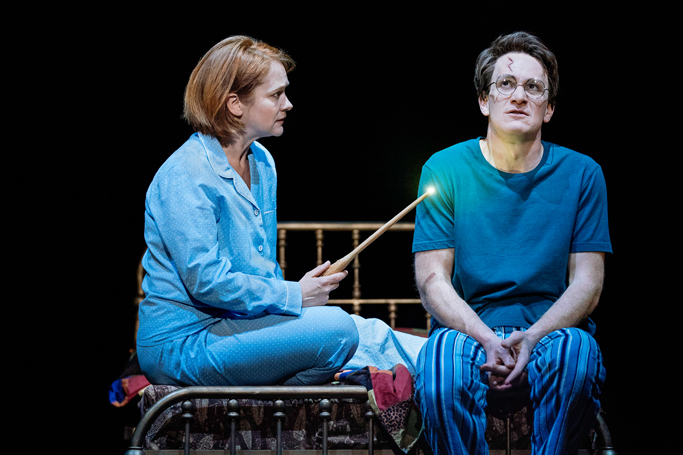 It comes to New York in the same season as another two-parter from London – the National’s Angels in America. But while the latter is a dazzling theatrical leap into the recent past of Aids-afflicted New York and a metaphorical future of the afterlife, Harry Potter embodies and wrestles with dark existential threats of a different kind. 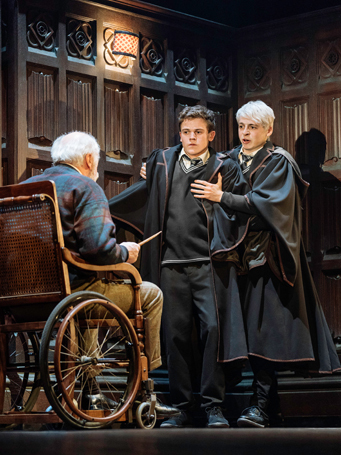 As such, it remains utterly gripping and entirely original in its own right, while also providing fans with plenty of references and developments for them to enjoy. John Tiffany’s urgent, theatrical production is a continuing marvel, boasting absolutely brilliant effects but always remaining foregrounded in the storytelling. 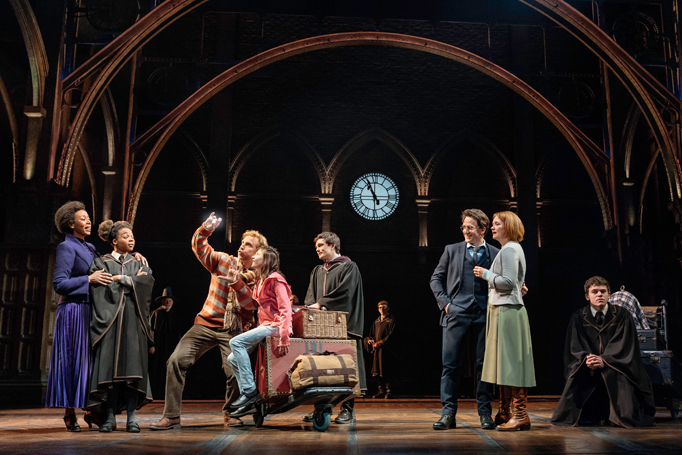 As Harry Potter in the West End soon moves onto its third major cast change, the seven original London principals now reprise their roles in New York, and feel effortlessly at home as they lend the show a proper English authenticity. 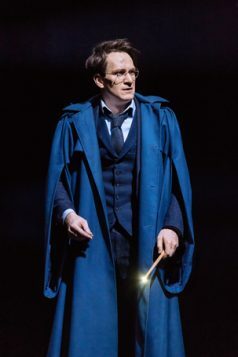 But there are no jarring joins with a fine set of new American actors that includes Kathryn Meisle as Dolores Umbridge, Edward James Hyland as Albus Dumbledore, Jessie Fletcher as Delphi Diggory and Byron Jennings as Severus Snape, among others who I will not detail for fear of spoilers. 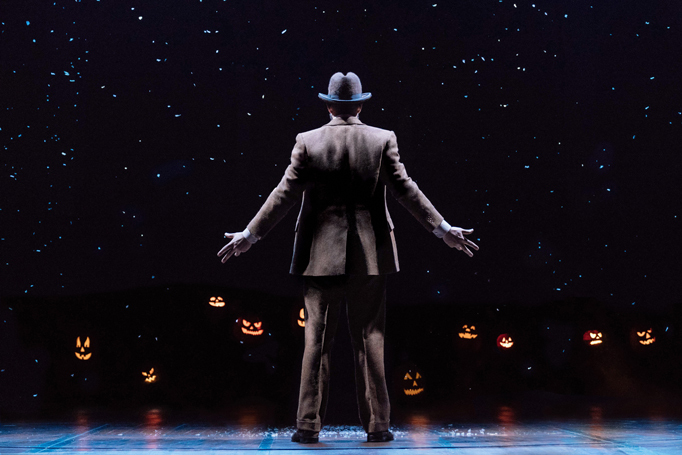 At this show’s heart is its humanity, and how it poignantly addresses themes of parental legacy, loss and regret. 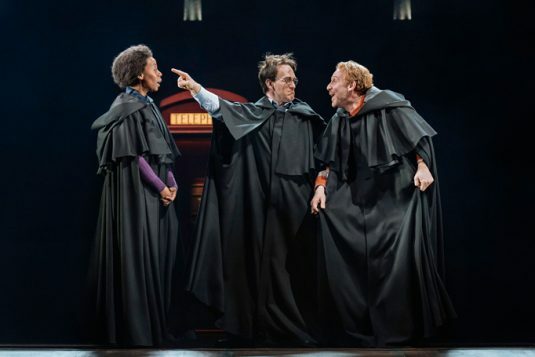 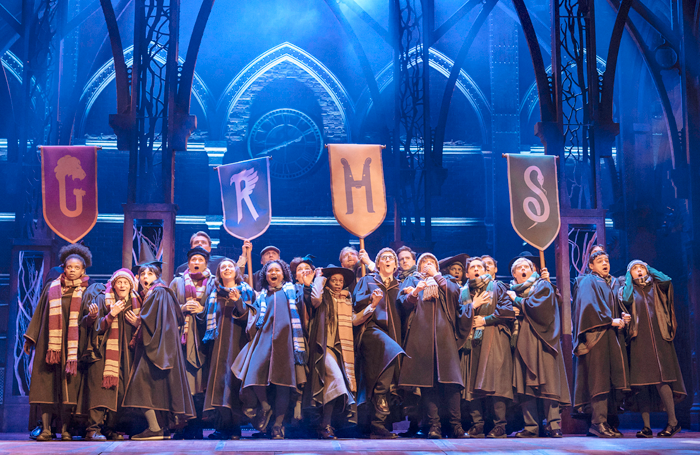 This is why – beyond all the hype and the millions lavished on providing the show with a fitting New York home – this Broadway production of Harry Potter and the Cursed Child looks sure to replicate the stratospheric success it has enjoyed in the West End.